Bangladesh Cricket Board (BCB) announced the squad for the second and final Test of ongoing West Indies series on Tuesday. The second Test of the series will be commencing at Sher-e-Bangla National Cricket Stadium in the capital from November 30. Imrul has lost his place due to his poor form in Test cricket recently. He was futile to cross a double-digit score four times in his last six Test innings. Imrul managed to score 44 runs in the first innings in Chattogram that too after being gifted three easy chances followed by his shambolic performance in the second innings adding only two runs. Other epitome of constant failure, Soumya Sarkar, was able to hold on his spot despite of his dismal performance in the first Test. Soumya failed to add anything on the board in the first innings as he got dismissed by a docile delivery of Kemar Roach. And in the second inning, he got out to Roston Chase while driving towards cover without any foot movement. 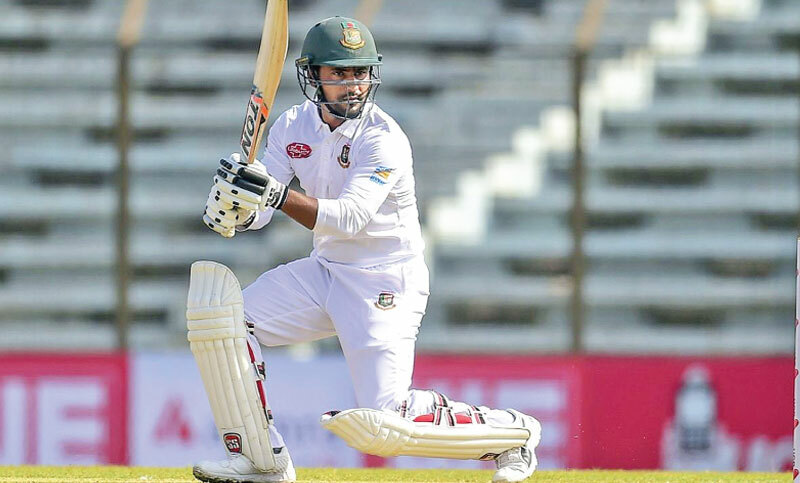 Imrul’s exclusion opened the door for Sadman Islam, who got a sudden spot in the Test squad after scoring fifty-plus in the practice game in Chattogram. The left-handed opener is likely to make his debut in Dhaka. Sadman has played 42 First-class matches and scored 3013 runs at an average of 46.50. He has seven centuries and 16 fifties to his name. There were many talks about Tamim Iqbal’s inclusion to the squad. But the southpaw batsman is still recovering from a side strain that he has sustained before the series took place. He might get a call in the limited-overs squad as both teams will lock horn in three-match one-day internationals and T20Is. Meanwhile, Bangladesh Test and T20I skipper Shakib Al Hasan is not taking the Caribbeans as Tigers stand ahead of a historic opportunity to Whitewash the giants. Giving due respect to the opponents, Shakib stated that fire power of West Indies can light up any time as the side features some of the most adept cricketers of the planet in the form of Craig Braithwaite, Shai Hope, Kieron Powell, Sunil Ambross, Shimron Hetmeyr, Kemar Roach, Devendra Bishoo and Roston Chase. “We can’t take them lightly. I am certain that they will try to return to the series doubled effort. We need to take better preparation and perform even better. We need to perform better than we did in Chittagong. They have quality bowler who can put us into trouble. To be honest, we need to take preparation accordingly,” said Shakib. Shakib Al Hasan (Captain), Soumya Sarker, Mohammad Mithun, Mominul Haque, Mushfiqur Rahim, Mahmudullah, Mehedi Hasan Miraz, Mustafizur Rahman, Taijul Islam, Naeem Hasan, Ariful Haque, Syed Khaled Ahmed, Shadman Islam.